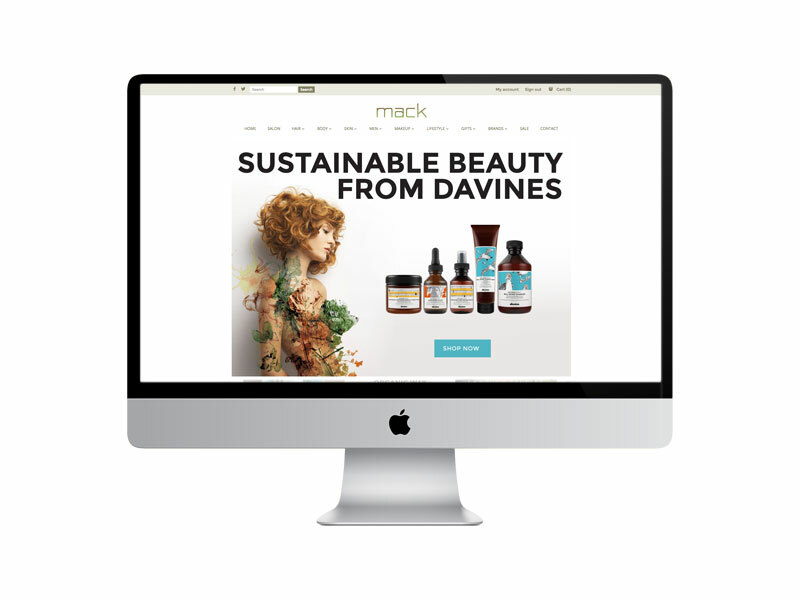 Mack.ie is an established online retailer for a range of natural and organic hair, beauty and gift products, the online home of renowned Mack Salon in Kiltimagh, Co Mayo. They required a fresh design for the website to reflect the luxury, exclusive brands available through the site. Having recently switched to the efficient Vend point of sale system in the salon, they opted to use the Vend ecommerce platform to integrate their online and physical shops and streamline operations. Swift customised the design of their new site, including promotional graphics for the various brands carried by Mack.ie and seasonal promotions such as Christmas gift sets.